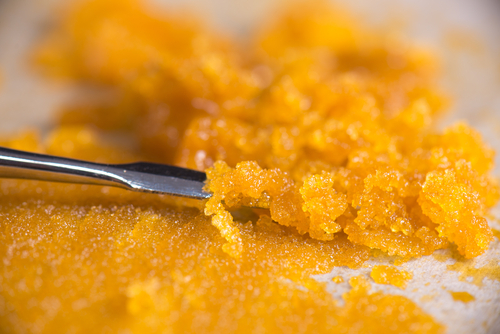 Macro detail of cannabis concentrate live resin (extracted from medical marijuana) with a dabbing tool. Memory trouble. Accidents. Risky behavior. Does cannabis use have a lasting effect on young people’s brains? After decades of study, most public health experts agree the answer is yes. But just how smoking, vaping or eating marijuana damages parts of the developing brain, especially those associated with learning and memory, remains a subject of debate. Daily cannabis use has long been linked to impaired learning, memory, attention and decision-making skills in young people. It’s also been associated with lower academic performance and increased rates of mood symptoms like depression. Surely it’s not as harmful as alcohol, right? 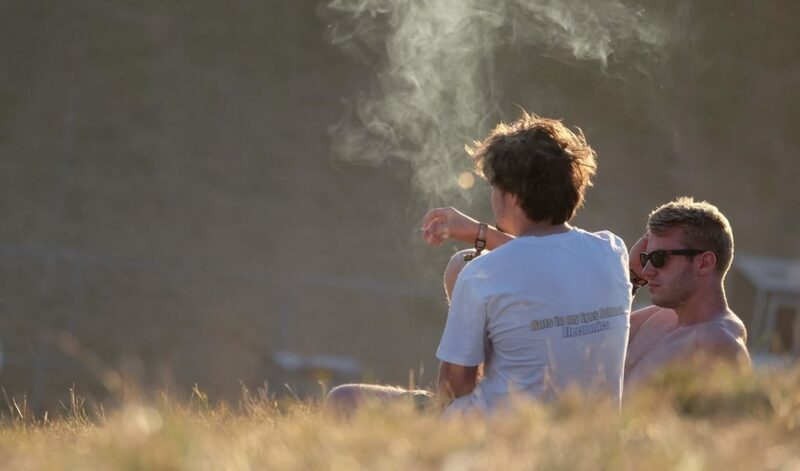 Actually, regular cannabis use appears to be worse for young people’s cognitive functions than alcohol use, according to a 2018 study published in the American Journal of Psychiatry. The lasting effects of cannabis use on cognition “appear to be more pronounced than those observed for alcohol,” write the study’s authors. Researchers tracked more than 3,800 preteens in Montreal schools from seventh to 11th grades, measuring changes in cognitive function among these students in annual tests. Study result suggest that both cannabis and alcohol use have lasting negative effects on young people’s cognitive functions. Dr. Patricia Conrod, the study’s lead author and professor of psychiatry at the University of Montreal, said her team’s findings should serve as a warning to teenagers. “Our findings suggest young people should do everything they can to delay the onset of their cannabis use, if not avoid it entirely,” said Dr. Conrod in a Healthline interview. For adolescents and teens, cannabis use can have lingering effects on inhibitory control and working memory, and concurrent effects on delayed recall memory and perceptual reasoning. While studies point to the negative effects of smoking pot as an adolescent or teenager, pot users who start in adulthood generally do not have similar outcomes. Some neuroscientists have suggested that cannabinoid receptors, which are distributed throughout the brain, may increase during adolescence. Cannabis use could disrupt the endocannabinoid system in this period, leading to changes in certain chemical balances and structures within the brain. Those changes can lead to poorer cognitive and emotional processing in adulthood. Some health experts point to dabs or butter (butane hash oil), super-concentrated doses extracted from the cannabis plant using solvents, as symbolic of a “new wave” of high-powered cannabis products. 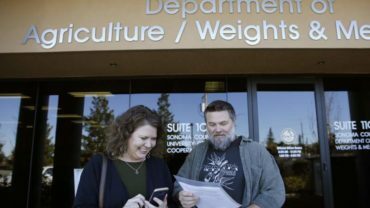 In the era of legal cannabis, California public health campaigns aim to debunk popular myths about marijuana use rather than calling for total abstinence. “Truth or Nah?” — a new campaign from the San Francisco Department of Public Health — wants to help young people “make informed decisions about cannabis” by clearing up misinformation. Fewer high school seniors are regularly using cannabis in San Francisco, according to the health department. In the 2015-2016 school year, some 27.1 percent of high school seniors reported having used cannabis within the last 30 days. The following year, that figure had dropped to 20.5 percent. That’s consistent with a broad downtrend in adolescent cannabis use in California. Marijuana use has long been considered a rite of passage for young people. In the animated Netflix series “Big Mouth,” a hilarious look at the trials of puberty, friends Nick and Jessi take the cannabis plunge together by eating edibles. It’s a wild ride, but the episode doesn’t shy away from the darker side of cannabis. Nick’s experience is hijacked by anxiety, while Jessi sparks a fight between her concerned mom and stoner dad. Critics of cannabis legalization, including former Attorney General Jeff Sessions, argued that legal marijuana would give more adolescents and teenagers access to the substance. It’s an argument that some found compelling, but one that is not supported by data. In Colorado and Washington, cannabis use among adolescents and teens has declined since legalization. In California, teen marijuana use also seems to be on the decline. A state-funded health survey showed a marked drop in cannabis use among middle and high school students in 2016 and 2017. Survey results over the last four years seem to validate the decline. While teen cannabis use dips, anxiety and depression rates among young people are on the rise. The odds of adolescents suffering from clinical depression grew by 37 percent between 2005 and 2014, according to a study from the Johns Hopkins Bloomberg School of Public Health. A study published this summer found connections between teen cannabis use and disruptions in the brain’s reward circuitry. Data suggests cannabis users have higher rates of mood symptoms like depression in early adulthood. Much like alcohol, the focus now is on delaying or preventing young people from using cannabis. An occasional toke isn’t likely to cause issues, but habitual cannabis use can damage the brain during important development periods.